NIBM Recruitment 2017 publicise a Job Vacancy advertisement for its latest recruitment post of Editorial Assistant to apply any BCom, Graduate, Post Graduate Candidate. (NIBM) National Institute of Bank Management wants to hire the best candidate who can work as an Editorial Assistant vacancy post that can only apply for this job. Who Can Apply? Students who had passed out BCom, Graduate, Post Graduate can able to apply for this job recruitment announced by NIBM. They want to recruit total 01 posts to fill the post of Editorial Assistant, So, Bcom or any graduate students can hurry up to apply before anyone apply. Are you interested and graduated student then must have to apply before 18/06/2017. They want to collect job application to send through the Online or Offline method by all eligible candidates. Eligibility: Eligible students can allow applying offline for the Editorial Assistant Job on or before 18/06/2017. You have to read every job information before applying this Editorial Assistant job such as post vacancy, salary, job process for selection, minimum qualifications, age limit, fees to pay if any, how to apply for this job and many other details to read. Understand all details properly and only then apply for this job opportunity offered by NIBM Recruitment. As we said before you can send your job application offline method only. 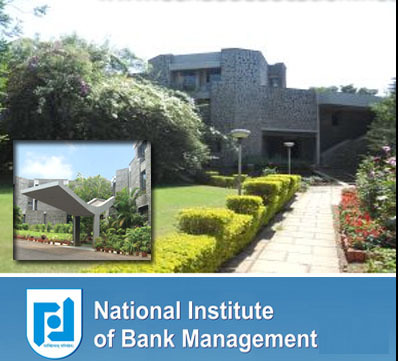 Job Address: NIBM, Administrative Services National Institute of Bank Management NIBM Head Office, Kondhwe Khurd, Pune. NIBM recruitment is for the post of Editorial Assistant job openings to fill their job vacancy in their Head Office of NIBM. So, this is the best job opportunity to apply now and fill this 01 post vacancy to work as an Editorial Assistant post. Have a look at down for more job information which is must to know before applying in National Institute of Bank Management. Job Responsibilities: Editing, copyediting and proofreading of quarterly journals, books and monographs, Consultancy and Research reports, working papers, PGDM Prospectus and Placement Brochures, Programme Brochures, Programme Calendar, Annual Reports, Programme Booklet, etc. Exceptional written and interpersonal communication skills, ability to work in a multi-tasking environment. Education Qualifications: BCom, Any Graduate, Post Graduate. Application Fees: No fees details are disclosed. Age Limit: The maximum 45 years and minimum age requirement are 25 years old. A student must be eligible for an age limit. (i) For the selection in NIBM, you can apply before or on the same date which is 18/06/2017. (ii) All job application will be scrutinised and shortlisted for further selection process. (iii) If your name come in shortlisted list, then you have to give written examination and personal interview for final selection in NIBM. Send your job application by writing on the envelope to this address, "Application for the Post of Editorial Assistant" at this address, The Head, Administrative Services National Institute of Bank Management NIBM Post Office, Kondhwe Khurd, Pune, Pin:411048. If you already applied before then you cannot apply it again for the same post. You can also send job application and CV on this email staffrecruitment@nibmindia.org. The subject of the email will be same as above written. Apply before 18/06/2017 for this post of Editorial Assistant. The important date to remember to apply for this job is 18/06/2017. Apply this NIBM Recruitment 2017 job post Vacancy for Fresher, BCom, Graduate, Post Graduate can able to apply for Editorial Assistant before the given last date. You can also check out our latest, govt., diploma, graduate job vacancies and share it maximum with your close and far friends those who wants to work as an Editorial Assistant in NIBM.